KTTV-TV, Fox O&O’s Los Angeles affiliate, is rolling out a new set. Designed by television production designer Jeff Hall and Grant Van Zevern, the set has the Fox flair but seems out-of-place for a local affiliate. For one, the set has almost no local branding. 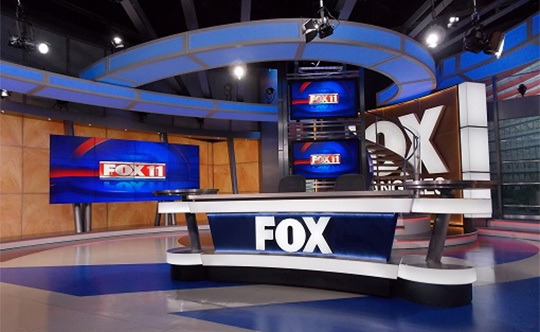 It relies heavily on monitors to brand the set as Fox Los Angeles, with large Fox logos thrown on some walls and the main anchor desk. The proportions of the set are also a little odd for a local affiliate, likely coming from Hall’s background in larger scale productions. 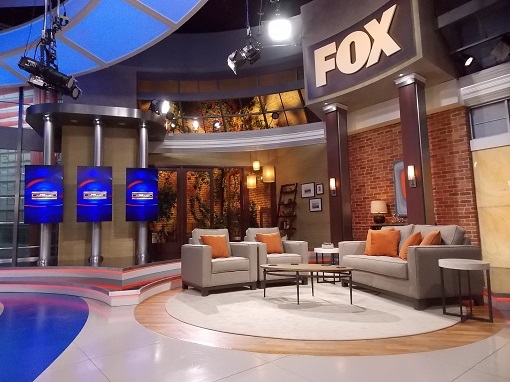 The set includes a large anchor area, a 4×3 bezzelless monitor array, a spiral staircase, a giant Fox Los Angeles logo and an interview area with an ivy covered wall. Hall has done outstanding work for game shows, reality competitions and primetime shows… but this set lacks what other television news designers could have done. This set will seem dated in only a few years, while the previous set, lasted many. 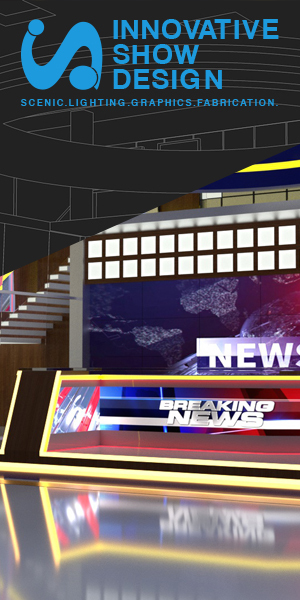 Hall also recently designed the Fox Sports San Diego set and the set for Mundo Fox. We’ll see how the set shoots on air, with the large proportions, scenic elements and spiral staircase.